In this e-book, documentary wedding photographer Joeri van der Kloet, presents a clear, step by step tutorial to increase your focussing performance. In 14 effective exercises you will improve your speed and accuracy in focussing. Dolf:"Love the practical set-up of this tutorial! It is clearly written, with a lot of fun exercises which really made me experience the camera a lot better. Hopefully I will end up with the same documentary skills as Joeri (see also his own site luta.nl)"
Don: "I purchased this book and it's really great. Not so much revolutionary but a good collection of common sense and exercises to get better and better. I'd recommend it to anyone looking to improve their rangefinder focusing skills." Joeri has a background in neuroscience, but decided to become a fulltime documentary -wedding- photographer and writer. Joeri covers weddings in his own style with his Leica M for couples that love true and authentic photography. Joeri's work is featured on several international websites and he has been awarded with numerous awards. 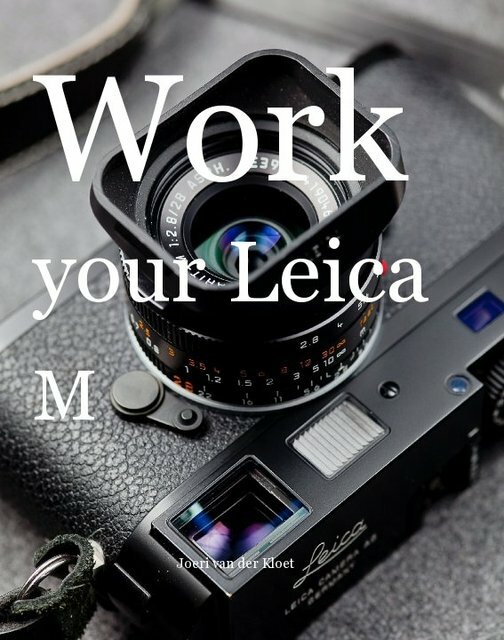 Besides his photography and writing Joeri has been giving workshops for Leica users for quite some time now.